This can be a very confusing term to new business owners and the term "lead" can have different meanings depending on your industry. 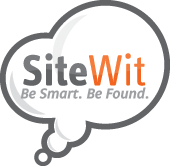 With SiteWit, we define the term Lead as a user who is interested in your product/services and requires assistance with more information regarding your business or purchasing from your website. Users that come through paid search marketing campaigns ( found under the campaigns tab on the SiteWit dashboard) are all considered potential leads as they were actively searching a product or service that you offered, triggered your ad and then clicked through to your website. You must ensure that you have a good landing page to guide the lead to contact you directly through a phone-call or contact us form so that you can close the sale. SiteWit's Lead generation tool Connect makes this process easy by offering the user unique discounts in the form of coupons for your products/services in exchange for their email address or phone number. Once a user requests a coupon, you will have all of their information sent immediately in real time to a smartphone application with options to contact the lead via phone number or email in seconds. We make capturing Leads and converting them easier than ever!